This week, the CBO released its estimate of the distribution of household income and federal taxes. 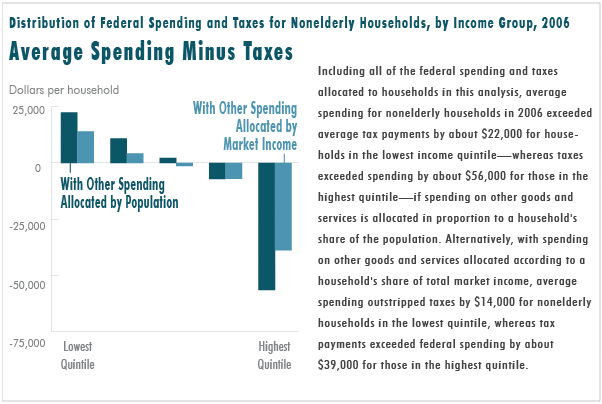 This report measures both average household income and average federal tax burden by income quintile in 2011. The median household in the United States earned $66,400 in pre-tax income plus government transfers. However, the distribution of income is skewed to the top. Households at every income level benefits from government transfers (Social Security, Medicare, etc. ), but low income households rely on them the most. Conversely, low income individuals pay the lowest average effective federal tax rate (1.9 percent of household income). The top quintile paid the highest (23.4 percent). Although taxes are progressive at the federal level, certain taxes are more progressive than others. The CBO’s measure of income is called “market income.” This measures not just wage income, but also business income and capital income (capital gains and dividends from investments). In addition, they add in the value of major government transfers: Social Security, Medicare, Medicaid, and other in-kind cash benefits. In 2011, the Distribution of household income was skewed towards the top. The lowest quintile earned approximately $24,600. The middle quintile earned approximately $66,400. The top quintile earned an average $245,700. Across all households the average income was $93,900. Part of the CBO’s measure of income is transfers from the federal government. The CBO shows that all households benefit from government transfers, but low-income households rely on them the most. In the lowest quintile, government transfers make up 37 percent of total pre-tax income. As you go up the income scale, the share of income from government transfers declines, but does not go away. This is due to the fact that Social Security and Medicare are universal programs with respect to income, unlike programs like the Temporary Assistance for Needy Families and Food Stamps. Government transfers make up 35 percent of the income of second quintile households, and 25 percent of middle quintile households. Once you hit the top two quintiles, the reliance declines quickly to 14 percent of total income for fourth quintile households and 4 percent for top quintile households. In contrast with the government transfers, which decrease as you go up the income scale, federal taxes increase in importance as you go up the income scale. As household income increases, average tax burden increases. The lowest income quintile paid a total effective income tax rate of 1.8 percent. The second quintile paid 7 percent. Middle income households paid 11.2 percent and the fourth quintile paid 15.2 percent. The top income quintile paid an effective tax rate of 23.4 percent, an effective tax rate two times higher than the middle quintile and 13 times higher than households in the lowest quintile. Although the total tax burden is progressive, not all federal taxes are progressive. The distribution of these taxes varies by both the type of tax and the income level. The federal individual income tax is highly progressive with respect to income ranging from negative 7.5 percent for households in the bottom quintile to 14.2 percent for households in the top quintile. In contrast, excise taxes are slightly regressive, meaning that their burden goes down as household income goes up. The lowest quintile households pay the highest rate: 1.6 percent of income, while top quintile households pay the lowest: 0.4 percent. Payroll taxes and corporate taxes are both rather flat. For the corporate income tax, the CBO assumes that the tax is born 75 percent by shareholders and 25 percent by laborers. What this means is that shareholders, which are disproportionately high-income households, bear most of the burden. This gives the corporate tax its slight progressive feature. 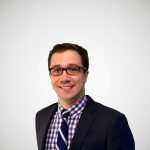 It is important to emphasize, however, that although the CBO states that corporate income taxes are born mostly by shareholders, there is by no means a consensus on this. Some estimates could place most of the corporate income tax on labors rather than their shareholders, which could drastically change the perceived progressivity of this tax. Either way, everyone ends up bearing some of the corporate tax. While there are some limitations to the CBO’s report—especially the exclusion of state and local taxes and some major public goods provided by governments—this report is important in understanding that the United States’ federal government has progressive tax and spending policies. 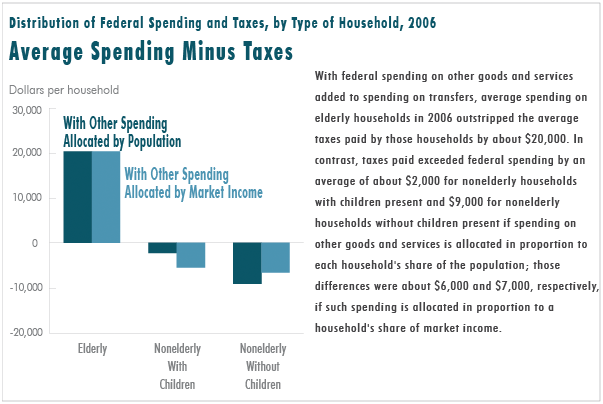 For more on the distribution of taxing and spending policy see here.